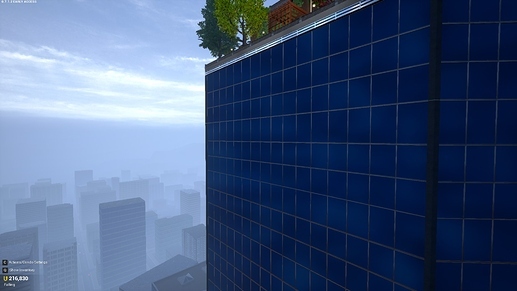 [0.7.1.2] Rain won't travel any lower than the Rooftop on Highrise - Bug Report - PixelTail Games - Creators of Tower Unite! From about this height and below, all rain, and weather effect cease to exist and make sounds. Excluding thunder. This means when jumping off the building, for about 75% of the fall there is no weather sound. This also means that the Neighbouring Rooftop can’t hear or see any sound. This also impacts people who wanna build out of bounds, such as at the base of the Highrise building.